I feel as though I've been on a bit of a treadmill, does anybody else get that feeling? My blog turned 4 years old in February, and I didn't mention it because I hadn't planned anything special. I also thought that I haven't 'made it' as a blogger yet, not if you measure it by things like number of followers, or whether you make any money from it (not a penny!). So, because I let that anniversary slide by, I would like to 'big up' my blog a bit now, because quite frankly, running a blog for 4 years when you're also working full time, you've bought your first house, had a family bereavement, and have been working your way up the career ladder is actually quite an achievement! So, here's stuff that I'm proud of. 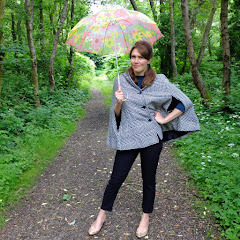 Crowned Queen of Vintage No.150! Some of you have found out about this already, but recently I had the honour of being bestowed with the title of 'Queen of Vintage'! Below is a screenshot of the article on the Queens of Vintage website, but click here to read the full article. 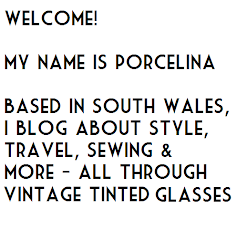 I'm absolutely honoured, thrilled and delighted to be joining other Vintage Queens such as the fabulous Jessica of Chronically Vintage, and Fleur from Diary of a Vintage Girl. These last six months have been a whirlwind, and I've enjoyed working with brands such as Corset Story and Fever clothing. 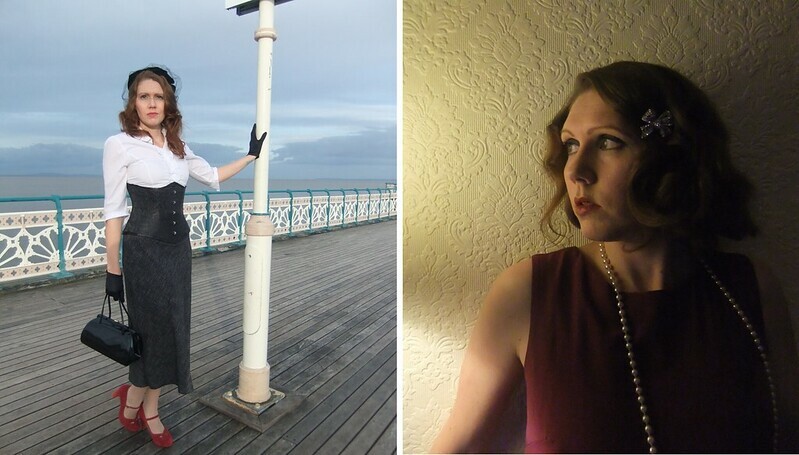 My favourite was the Hitchcock Heroine photoshoot, and I have lots more ideas for other Hitchock-esque shoots, so watch this space. I have my own Youtube 'channel' now! Tee hee! Doing videos feels far more exposing than writing and using photographs, and I can't watch the videos back without cringeing slightly. I keep telling myself, "It's good for me", and that presenting is a transferrable skill. I have so many more ideas for videos, but if you have any suggestions then please send them my way. I would really, really like to meet up with more fellow bloggers. It's hard and lonely sometimes being a blogger, just you and your laptop! I'm looking forward immensely to the 30-40 blogger meet-up being arranged by Catherine from Not Dressed As Lamb that will be going ahead in September in Reading. 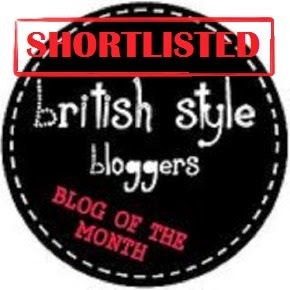 I was shortlisted for the January 2014 Blogger of the Month award by British Style Bloggers. I also entered the Wales Blog Awards for the first time, but didn't get anywhere. I'd like to enter more contests and really try and push myself into enhancing my blogging skills and stepping it up a notch. Onwards and upwards! I'm planning more giveaways, and more collaborations, so if you're a brand or a fellow blogger with an idea then please be sure to drop me an email or a tweet! I'm open to all kinds of suggestions. Anyway, I am currently enjoying a week off work, to relax and recharge my batteries a bit. It's my birthday tomorrow and I've already celebrated in flapper style at a joint party with my other half on the weekend. There's lots to do in the garden and around the house, and I'm hoping to get enough sunshine to be able to explore some of the breathtaking Rhondda landscape that I'm new to living in. I hope that you all remember to take time out for yourselves when you need it, and to give yourself some credit every now and again! Sometimes we forget just how far we've come if we're always looking at where we've yet to get to. I always thought that by now (I'm turning 35, eek!) I would be a super career woman with a fat salary and a high powered job where I was travelling the world. My life may have turned out very differently to what I imagined, but I'm very happy to be staying put in one beautiful spot, grateful to have true love, and to have the creativity to live like a queen on a serving wench's budget! I'm content with where I am right now, and I don't want to take that for granted. Congrats on doing so well! Fabulous post and happy birthday for tomorrow! It's so important for bloggers to take a step back and look at how far they have come in their blogging journey! Lots think 'making it' as a blogger is only determined by thousands of followers, amazing fashion-y invites and magazine features, but it's not the case at all! Happy Blog Birthday!! Blogging takes a lot of time. Keeping up the momentum for 4 years whilst doing all the other things is to be applauded, and I think its a really great blog. Love your vintage style !! Congratulations on 4 years! My blog recently turned three, but it feels like I just started it yesterday because I have that much more to learn. I really should do something like this to see how far I've come too! Congratulations on four years. You have accomplished so much. Being a blogger can be so hard. It feels sometimes as thougn hardly anyone is listening. I hear you. But you have come so far. I want to push myself this year, too. But, dang, the time commitment and the fear of failure. Good for you for taking initiative. Congrats on four years of what I'm sure is hard work and for the Queens of Vintage achievement - amazing! I completely agree with you that it's easy to get trapped inside yourself when you're writing a blog and feel a bit blah about it all, especially when you're trying to have a career at the same time. Good for you! 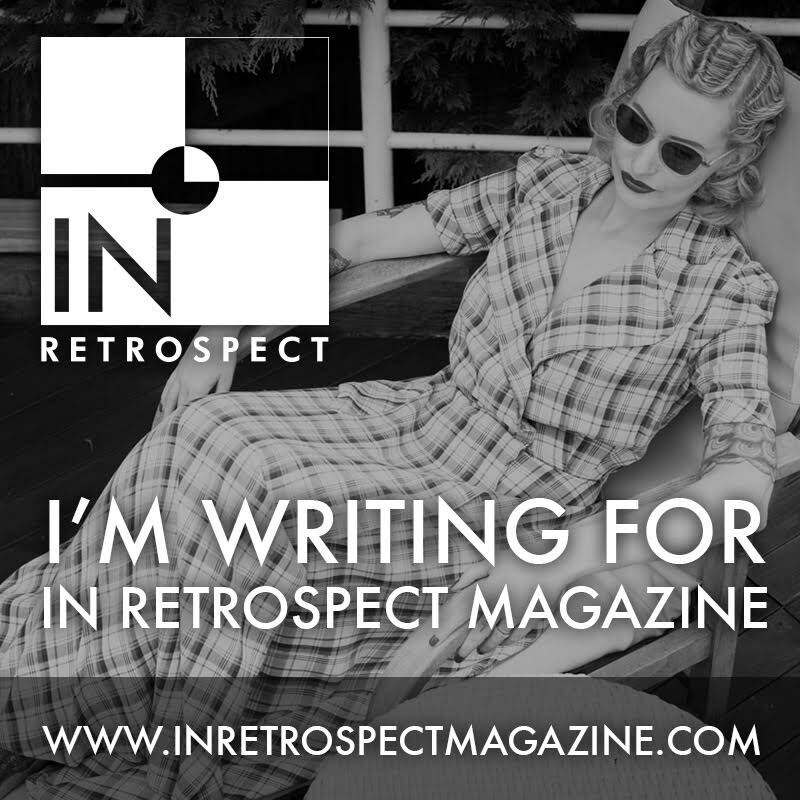 It's hard work to write a blog, and it sounds like you've had some cool accolades along the way. Aaw, this was such a nice blog post and grats on blogging for 4 years already! I have to say I would have never thought you're above 30 years old as you look much younger. :) Happy birthday also. I just found your beautiful blog and I will be hopefully reading it for years to come!